Best selling title. Takes a three-pronged approach to compensation by focusing on theory, research, and practice. 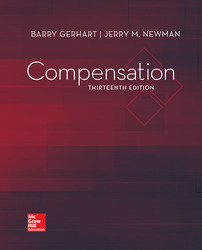 The 13th edition continues to emphasize the importance of total compensation and its relevance for achieving sustainable competitive advantage.